The amateur radio CubeSat FITSAT-1, also known as NIWAKA, burnt up in the Earth’s atmosphere in the early hours of Thursday, July 4, 2013. FITSAT-1 has decayed on July 4, 2013. The last signal was received by JA0CAW at 03:07(UT). I appreciate all hams who joined our experiments, helped our operations, and sent me many reports. 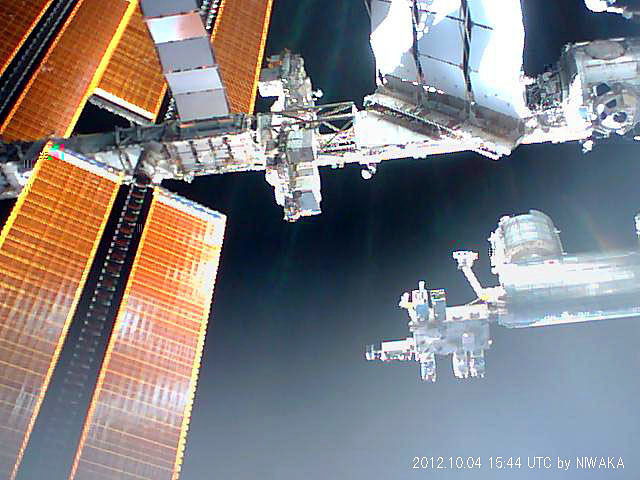 I could make many friends in the world and enjoyed through FITSAT-1. 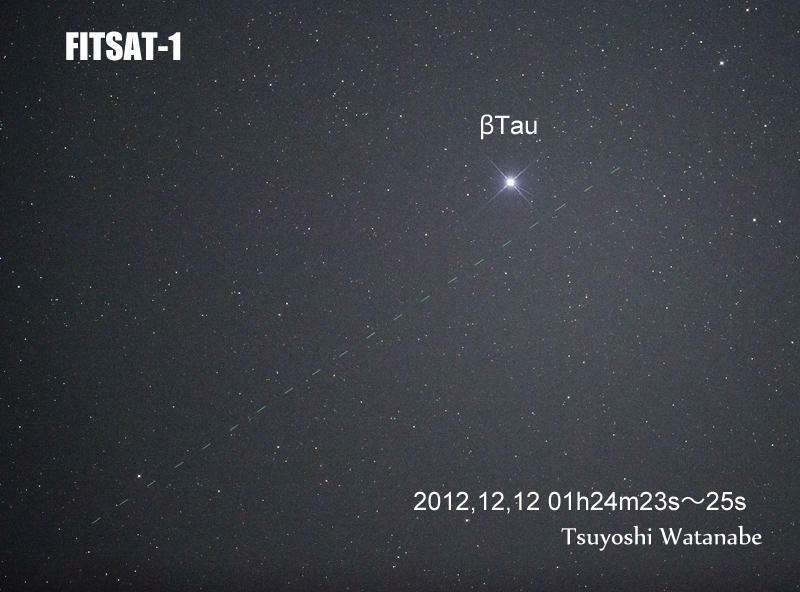 Though FITSAT-1 became a shooting star, I am very happy now. Thank you very much again all Ham friends. 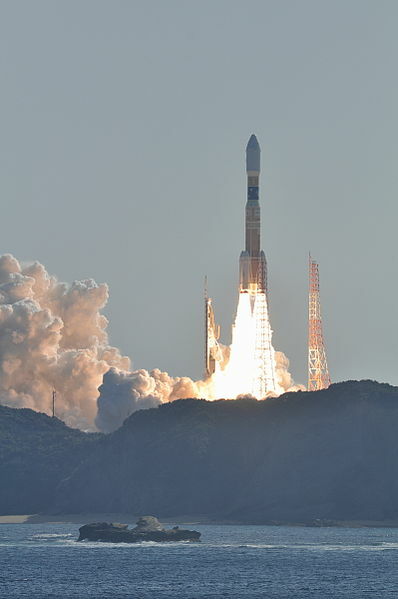 FITSAT-1, built by students at the Fukuoka Institute of Technology, was one of five CubeSats launched to the International Space Station (ISS) on July 21, 2012. The CubeSats WE-WISH, TechEdSat, F-1, FITSAT-1 and RAIKO were integrated with the J-SSOD small satellite deployer on the the Japanese Experiment Module Kibo and deployed by the Kibo robotic arm on October 4, 2012 into a 420 km orbit. Four of them, WE-WISH, TechEdSat, F-1 and FITSAT-1, have now de-orbited only RAIKO remains. 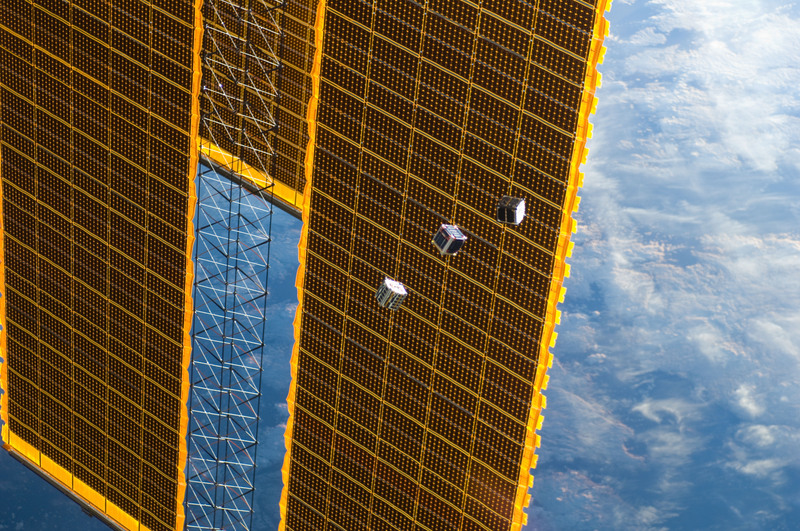 The CubeSats that have de-orbited were all 1U in size (10x10x10 cm, 1-1.2 kg). 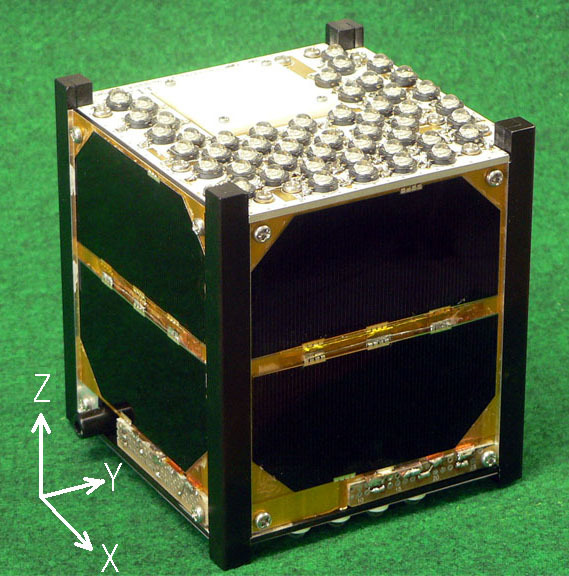 The remaining CubeSat RAIKO is 2U in size, twice the volume and mass (20x10x10 cm, 2 kg). FITSAT-1 carried a CW telemetry beacon on 437.250 MHz, a 1200 bps AX.25 packet radio transmitter on 437.445 MHz, a high-speed (115.2 kbps) data transmitter on 5840.0 MHz and an optical LED array to flash Morse code to observers on Earth. The 5840.0 MHz transmitter on FITSAT-1 ran about 2 watts output. It supported a data rate of 115.2 kbps and sent a JPEG 640×480 VGA pictures in just 6 sec. FITSAT-1’s low orbit meant its lifespan was limited to just 9 months but in that time it was able to achieve a number of technology firsts. Its success showed the outstanding design and construction abilities of the student team from the Fukuoka Institute of Technology. Further transmissions from the optical LED beacon on the amateur radio CubeSat FITSAT-1 are planned for January 10-15. Weather permitting the satellite beacon should be visible using binoculars. 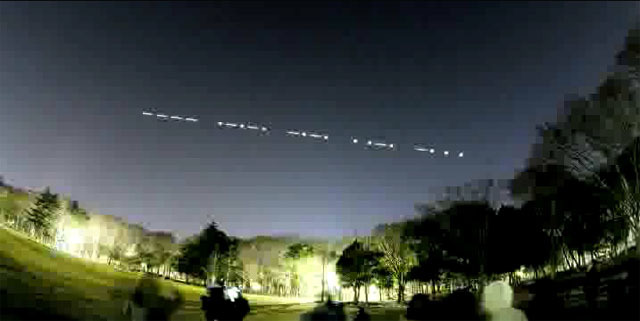 The FITSAT-1 CubeSat was developed by students at the Fukuoka Institute of Technology (FIT) in Japan. As well as the optical LED experiment the satellite carries several amateur radio payloads: a CW beacon on 437.250 MHz, a telemetry beacon on 437.445 MHz and a high-speed data downlink on 5840.0 MHz. The January issue of the free publication Sat Magazine covers a number of amateur radio satellites. On pages 54-65 is an article about Small Satellites. Among the many amateur radio satellites mentioned are FITSAT-1, WE WISH, the Vega CubeSats, QB50, AubieSat-1, Prime Explorer-1, FASTRAC.and ARISSat-1/KEDR. The AMSAT-India 435/145MHz Linear Transponder is also mentioned.